From Nov. 30 to Dec. 2, the 8thShanghai Undergraduate Engineering Training Integration Ability Competition and the Preliminary Tryout of the 6thNational Undergraduate Engineering Training Integration Ability Competition hosted by Shanghai Municipal Education Commission was held at Shanghai DianJi University. Participating the competition were 84 teams from 15 universities in Shanghai in which nine were from SSPU. 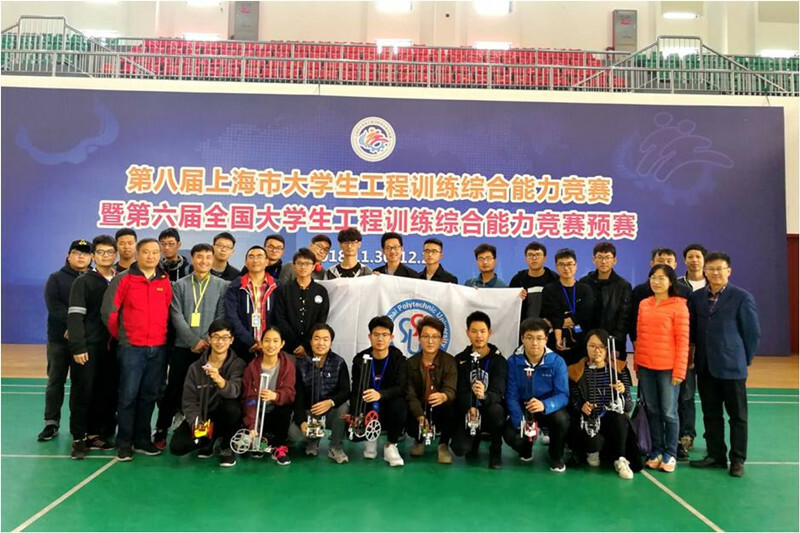 In the two-day competition, SSPU delegation made up of students Chen Tianren, Wang Yin and Li Xin guided by teachers Li Ying and Cai Lijun won the special prize in Obstacle Avoidance Tracing Robot section. Other teams of SSPU won two first prizes and six second prizes. Undergraduate Engineering Training Integration Ability Competition, testing both students’ professional knowledge and integration ability, is a platform to arouse students’ innovative awareness, and to improve their all-round engineering application capability and teamwork spirit. The competition has become one of the major events of innovative talent cultivation and discipline contest assessment in Chinese universities.